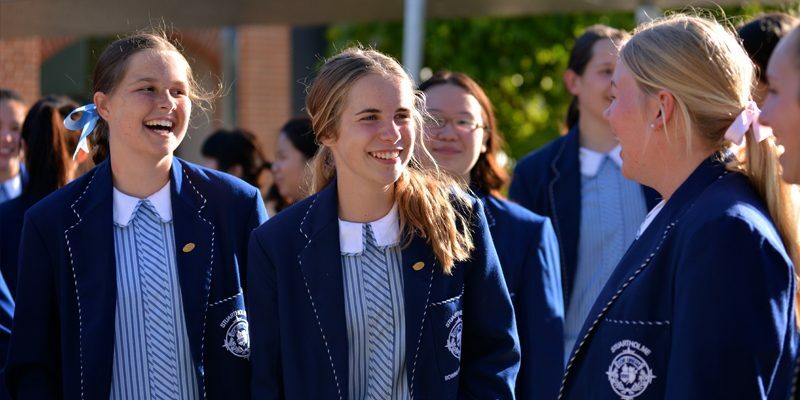 The Sister Mary Brennan Scholarships of Excellence are available for new students commencing entry into Years 7, 10 and 11. The Scholarships provide 50 percent remission of tuition fees (not including boarding fees), for the duration of your daughters schooling. Scholarship-holders are expected to maintain academic excellence which will be monitored each semester throughout their years of schooling at Stuartholme. Awarding the Scholarships is based on the ACER (Australian Council for Educational Research) Scholarship Test results. Scholarship applications for 2020 are now closed. The scholarship test for 2020 entrants will be held on Saturday 23 February 2019. Sister Mary Brennan rscj was recognised for her scholarship and leadership. As such, scholarship-holders are expected to maintain high standards of academic excellence, to participate positively in the Co-curricula Program and to support the Goals of Sacred Heart Education. Stuartholme offers a limited number of bursaries for current families experiencing financial difficulty. For more information on Stuartholme Scholarships, please contact enrolments.